LTD. RE-PRESS !!! 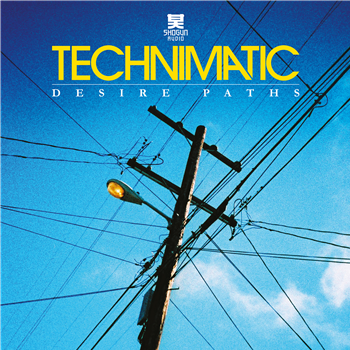 - ‘Desire Paths’ by very definition are the story of Technimatic’s Pete Rodgers and Andy Powell. They are the trails created by human endeavour and choices, the route travelled between origin and destination, the reason the duo's enchanting debut solo album is ready to be released for the summer of 2014. Now fully fledged members of the Shogun Audio family, it has been Technimatic’s unprecedented determination and talent that has seen them carve their own desire paths up until this very moment. Delivering an LP of beautifully hand- crafted, soulful drum & bass music you can’t help but wonder where their next journey will take them... ‘Desire Paths’. It’s an electronic album that has texture. Something fresh and current, but has a real feeling of nostalgia within it which gives you a flavour of where we’ve both come from musically and in terms of our normal lives. It's about how we work, what we've had to do to make it happen, and what we hold to be important within our genre.